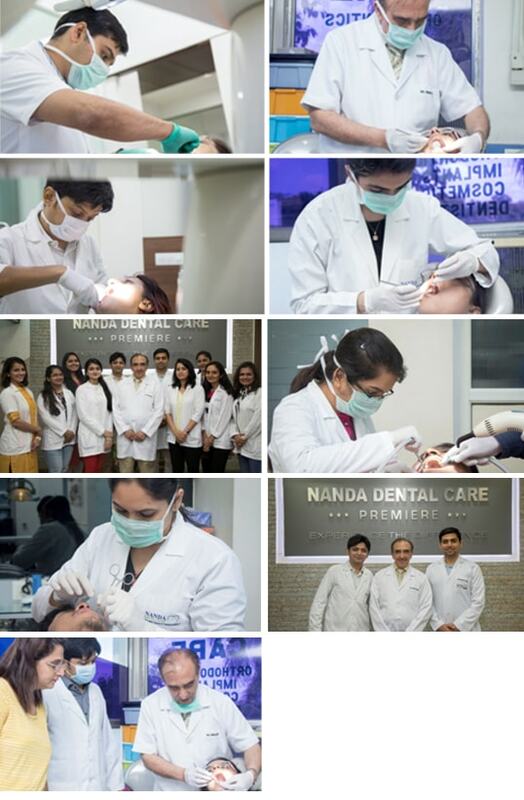 NANDA DENTAL CARE was established by Dr. Prem Nanda in 1977. NDCP has an excellent team of full-time doctors who are trained to manage emergencies, quickly diagnose, delegate if required and plan and execute treatment as necessary. There is also a team of consultants and on call specialists available whenever required. The doctors make sure that excellent dental treatment is rendered in a relaxed, comfortable and informative manner with highest standards. The team follows a comprehensive dental treatment philosophy which will improve the patients overall health and consequently enhance the quality of their life. The team strives to change the perception of patients towards dentistry so not only will they appreciate the care they receive, but will also entrust them with the care of their family and friends as well. The doctors are very patient, calm and understanding. They are very compassionate towards patients. This is what makes this profession a Noble one! To ensure a high level of commitment, good discipline, punctuality and minimize absence amongst all staff and doctors, biometric attendance records, regular vaccination and health check-up of all employees is carried out. The team is highly motivated and enthusiastic. The doctors keep upgrading their knowledge by routinely attending/participating in conferences, lectures and webinars. A meeting is held periodically at NDCP where Dr. Prem Nanda interacts with all staff and doctors to discuss clinic affairs and gets feedback and suggestions and discusses future plans and events. Most of the allied staff and in house technicians have been with NDCP for several years. 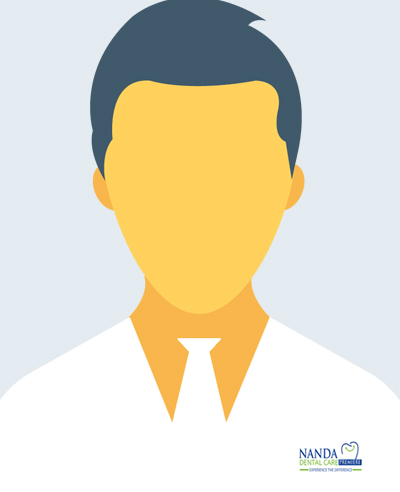 They are well trained and experienced and are an integral part of the system. They ensure the smooth functioning of the clinic. 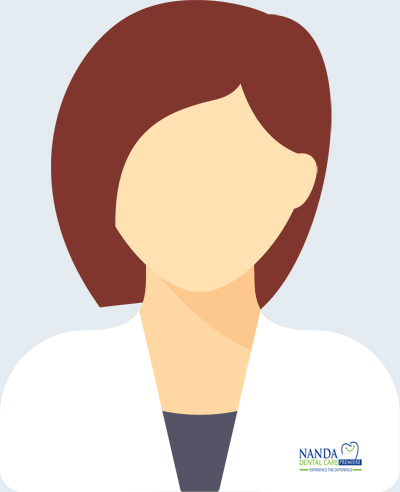 A good patient – doctor – staff relationship is vital to the success of any organization. And over a period of years a very harmonious and healthy association has developed between all the employees. There are staff for sterilizing, house keeping, chair side assistance, laboratory work, appointments and records, equipment maintenance, stock keeping, etc. All staff present in the clinical/surgical area maintain a strict protocol. 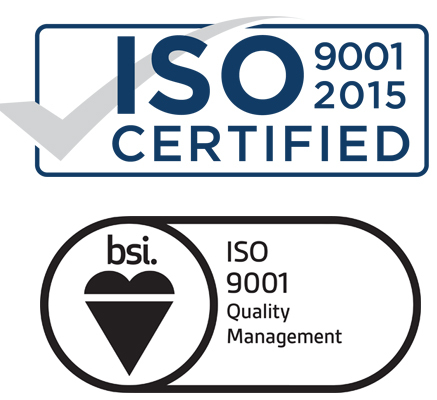 They ensure the highest level of hygiene and cleanliness in the operatory. Sterilization procedures are meticulously carried out by them. All chair side staff wear aprons, mouth masks and gloves. The receptionists are very friendly and helpful. They manage calls, appointments, billing, they guide patients, attend to their queries, take messages, co ordinate with labs, etc. House keeping staff keep the premises clean at all times. All equipment and dental chairs are cleaned by them everyday. The allied staff work continuously behind the scene. Their hard work may not be noticed, but it is because of them that an environment is provided where all the work is carried out efficiently without any hindrance.